The conference to discover, create and implement. Featuring Google, Microsoft & Apple. Hosting your 2015 Using Technology Better Conference in Melbourne. Mike is Australia and new Zealand's first Google Certified Teacher and Trainer. As an ex teacher, Mike’s passion and specialty is helping teachers use technology better to increase the motivation and engagement of their students. 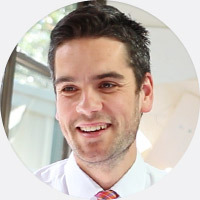 Blake is a co-founder of iNewsletter, Google Certified Individual, deployment expert and Systems Manager at McKinnon Secondary College. Blake has helped countless schools go Google and is laser focused on delivering knowledge, technology & training that supports great outcomes for schools. Learn from a leading team of educators and trainers. Featuring Google, Apple & Microsoft. See below for why this conference is different. A welcome and orientation to the conference. McKinnon SC's Principal Pitsa Binnion talks about the culture of change and McKinnon's technological journey. 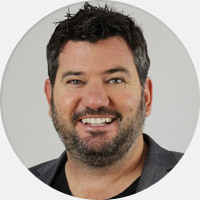 Travis Smith is the National Education Specialist for Microsoft in Australia. Travis is well known for his passion for education, and the ways technology can enhance teaching and learning. . In this fast paced session Blake and Mike "shoot-out" over some of the best websites and apps for the classroom. Discover how you can use technology to better motivate and engage your students. We will look at the latest research on student engagement, how to differentiate your teaching, provide immediate feedback and more. Would you like to learn how to create individual learning programs for your students which is linked to student data and Learning Analytics. Sound like a lot of extra work? It doesn't have to be. I will show you how to automate your workflow and create a personalised learning environment for your students. Some of the greatest innovations on using technology with students come from our Primary School classrooms. In this session I will show you how technology can be used in the Primary School Classroom regardless of age and ability. You will see real examples from my classroom and leave with a range of tools and strategies that you can easily apply in your classroom. In this session you’ll discover the best way to engage your students through collaboration and feedback. We will dig into the range of Office 365 tools including Word online, Onenote class notebook creator and more. What are we trying to change with technology anyway? Future Thinking: Creating a school culture that embraces change and truly prepares students for the future. Suan Yeo heads Google's Education efforts in Asia-Pacific. These 30 minute thought provoking and inspiring sessions will bring you the best innovative trends from around Australia and New Zealand. Designed for those who have experience in Google Apps and are are looking to explore other tools and applications such as: Lesser known Google Services - graphs, alerts, news, ngram, google trends, Google moderator, Add ons for Docs and Sheets, Google Forms, Google Sites, Chrome Apps & Extensions plus lots more! Would you like to streamline communication, collaboration, sharing and assessment in your classroom? There are heaps of free and easy learning management tools available to help you do just that! In this session, we’ll explore some of the most popular, including Edmodo, Schoology, Google Sites, Google Classroom and Google+. You’ll get the opportunity to discover what tool is most suited to you and your students’ needs, and learn how to use it effectively. Apps that make you go wow! Share your implementation plans with everyone. The best presentation wins an awesome prize! The Using Technology Better Conference has been designed with the classroom in mind. This isn’t your typical technology conference where technologists tell you how to teach. This conference is all about empowering and supporting the great work you are already doing with your students. A deep dive 2 day experience: Each elective runs over one whole day, designed to give you time to explore your topic and create a resource for you to implement immediately with your students. You will leave with a thorough understanding of the tool and how you will use it with your students. To work! : This is not just a lecture, it is a workshop suitable for Primary, Secondary and Tertiary Teachers. Bring your laptop or mobile device (see session description for what device we recommend) and be ready to create accounts, resources, lesson plans etc. To have your questions answered: Come with your questions ready. You will have access to Google & Microsoft employees, deployment experts, seasoned certified trainers and real staff from successful schools around Australia.